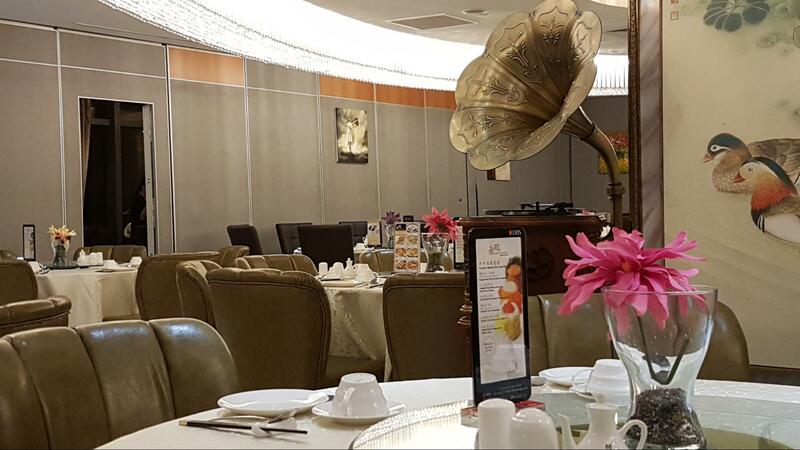 Stepping into Dragon Bowl can be quite intimidating with its posh decor, and gleaming chandeliers. But don’t let that dissuade you if you’re a bargain hunter! 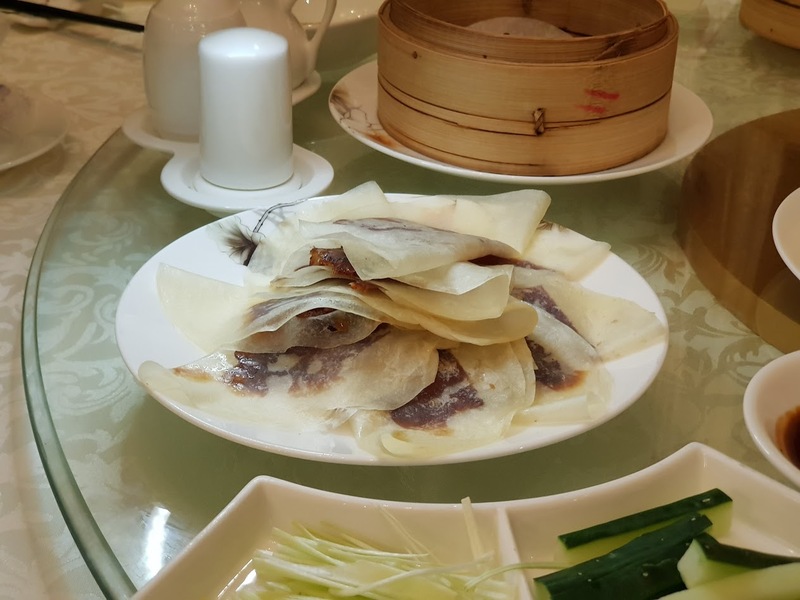 While the food can’t be compared to some of the bigger players in Cantonese fine dining, it does a fine job of bringing you some of those flavours at a pocket friendly price. 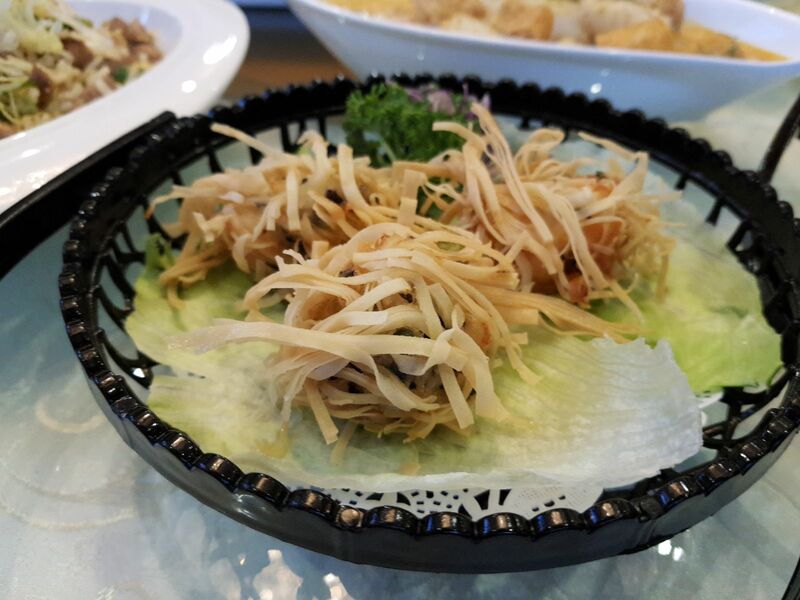 It gets even better with the special promotion they’re running right now offering 30% off all Dim Sum items till the 31st of March 2018 for the Aperia Outlet and 5th April for Marina Square. You’ll find the fine print at the bottom of the article. 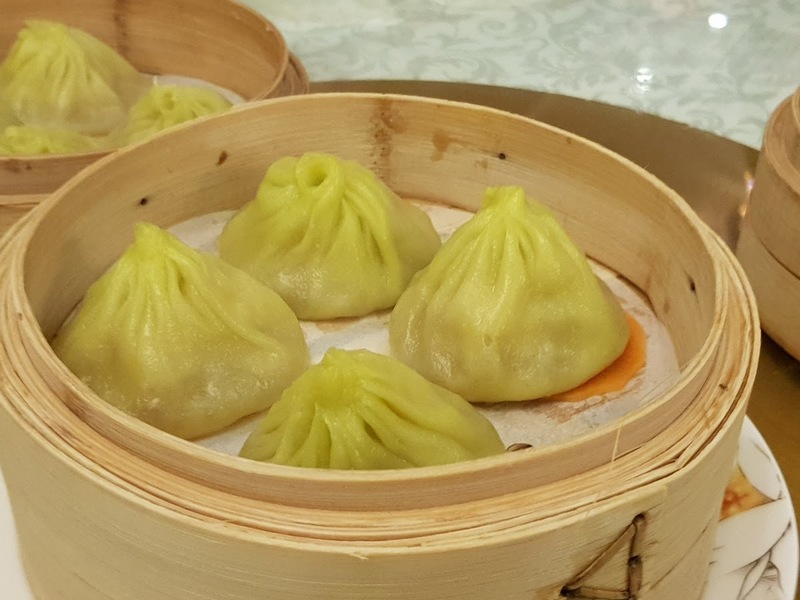 We were invited to check out 7 new items on their Dim Sum menu bringing their total Dim Sum offerings to a whopping 40 dishes! Here’s what we thought. The prawn rolls to me were decent. The skin wasn’t too thick, and the mince had a hint of sweetness from the prawns. I’ll admit, I was a little hesitant when I saw this on the menu and when it was presented. The dish looked like a regular curry and had a suspiciously thin consistency. But I was genuinely surprised by how good it tasted. It struck a great balance between delivering depth of flavour and being to overpowering. The dish is served with tau gua and “cheong fun” with shrimp but honestly, I’d eat this with chu mee fen too. These Xiao Long Baos are served with a thin slice of carrot under them to prevent any collateral damage, which I thought was pretty neat! The dumplings are filled with a pleasant broth although I failed to detect any hint of scallop. 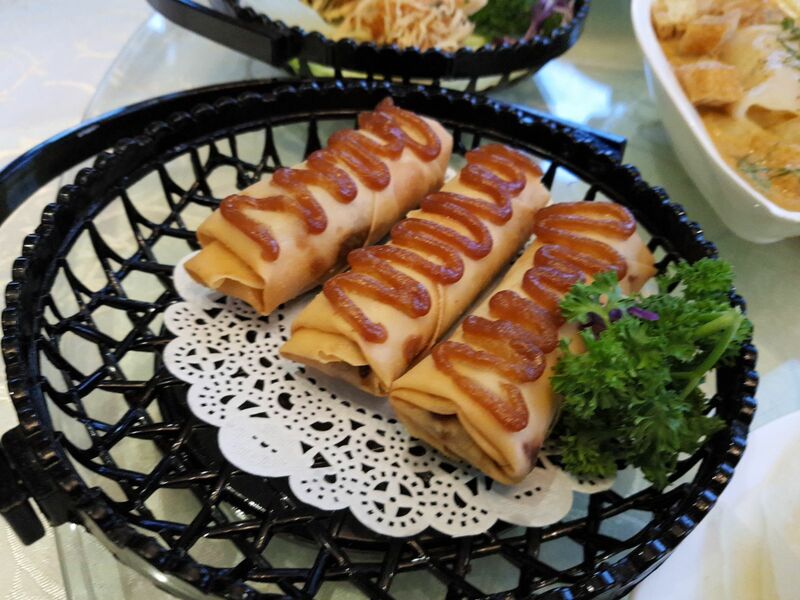 The honey chicken in the rolls tasted pretty close to char siew, the good kind. The crust was nicely crisp and flaky as well. It really reminded me of Char Siew Sou but with a thinner, less savoury crust. At $7.80 this is the priciest of the new dishes. 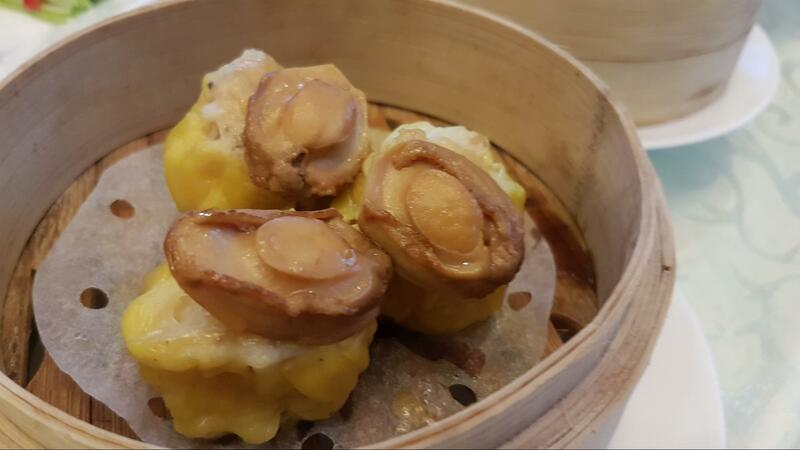 It’s a regular Siew Mai served with abalone on top. 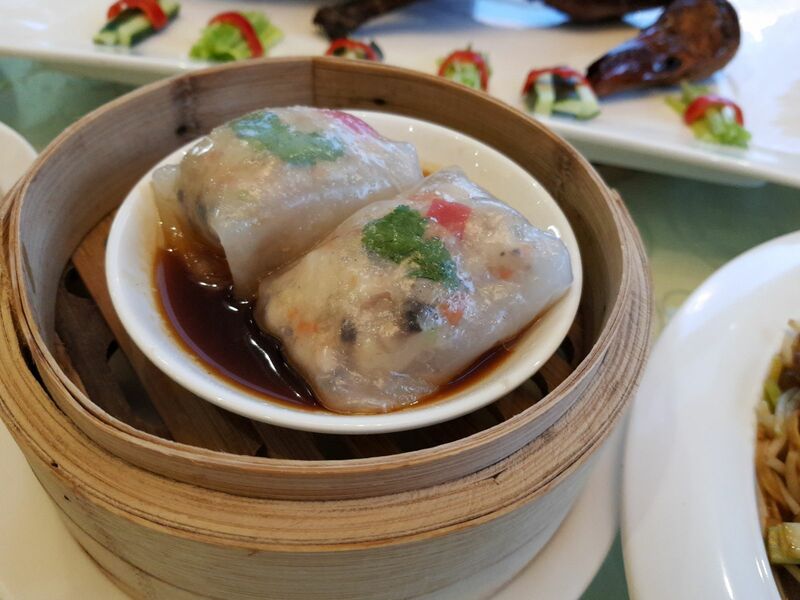 While the meat stuffing had generous chunks of prawn in it, it’s not a huge departure from your regular Siew Mai. 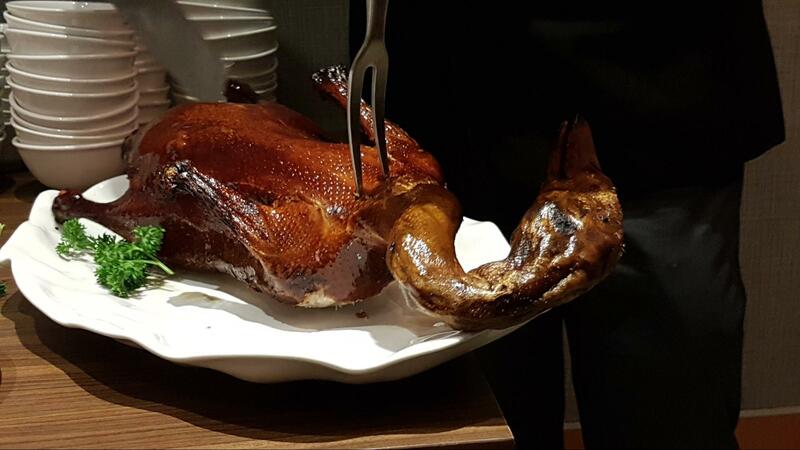 The restaurant also serves up a roasted whole duck in 4 different ways and we were lucky enough to try it! The duck was sliced pretty thin and small, and I wished the crepes were smaller to accommodate that. But overall, the duck skin was crispy and savoury. 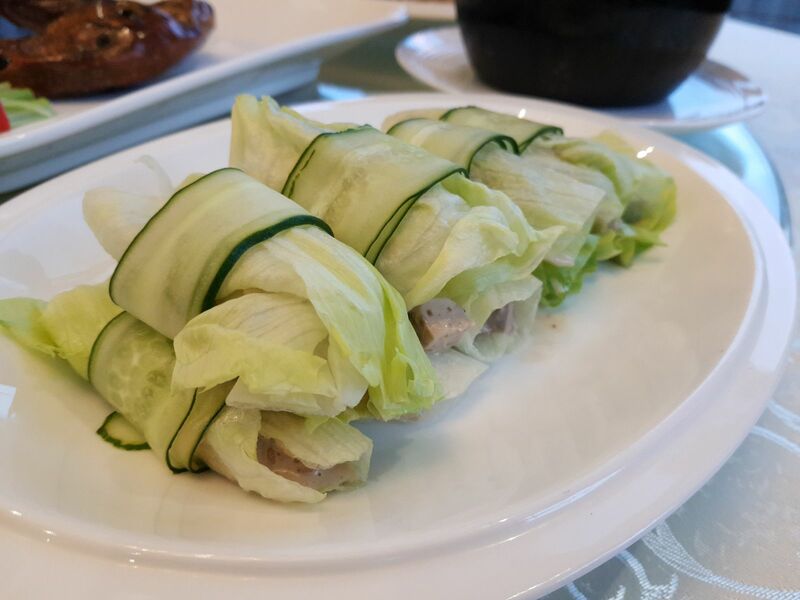 As per usual with Peking ducks, you’re free to fill your crepe with cucumbers, spring onions or hoisin sauce to your heart’s content. This is a dish served cold, but I absolutely loved it! 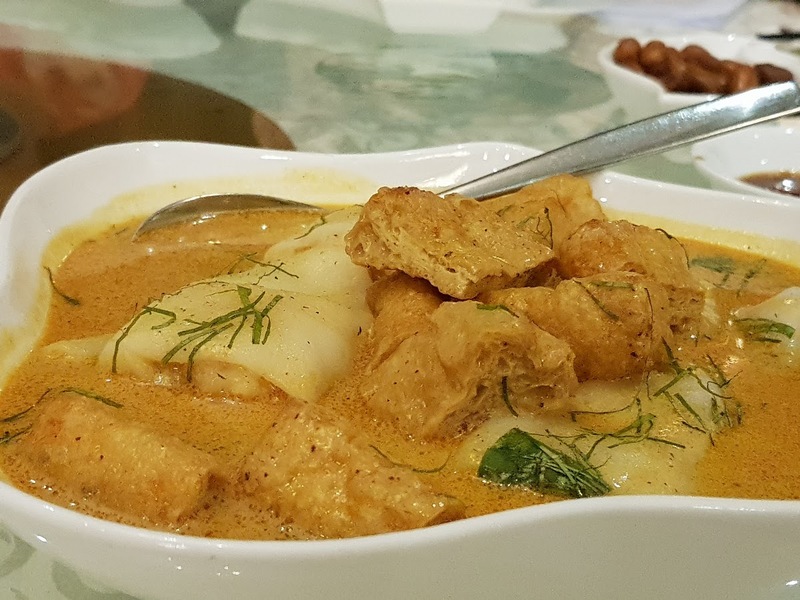 The sauce is certainly something special and lends a very pleasant sweetness to the dish. The lettuce also helped to cut through that rich filling to give the dish a refreshing kick. 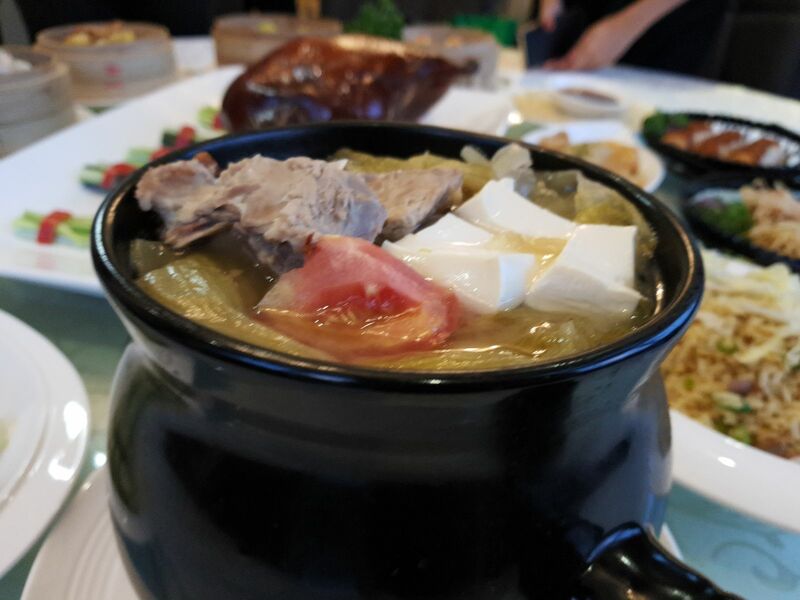 It’s spicy and savoury, but the best way I can probably describe this is to compare it to Bak Ku Teh, but with duck instead. There’s a strong presence of pepper in the flavour and actual chilli in the soup for that extra kick. 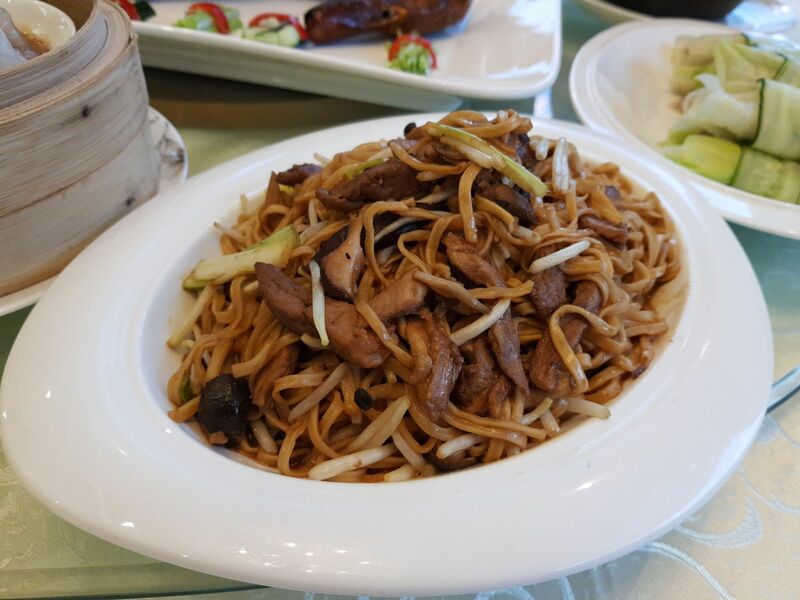 The final duck course is either a fried noodle dish or fried rice fried with generous bits of duck. Both dishes lacked the signature toasty wok hei flavour although i’d pick the noodles over the rice for it’s richer sauce.